The French Market will be moving into the space vacated by Pinot’s Palette next door. 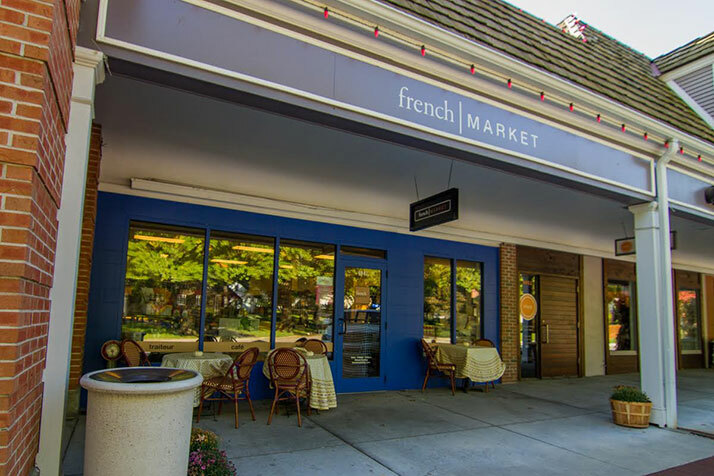 The French Market will be making a very short trip into a new, slightly larger space at the Village Shops later this year. Proprietor Patrick Quillec, who also runs Cafe Provence around the corner, confirmed this morning that the family’s grab-and-go and quick eats concept, which serve fresh crepes as well as made from scratch soups and sandwiches, will be taking over the Pinot’s Palette space in early April. Pinot’s Palette, which offered painting classes and events, closed its doors at the shopping center last month after four and a half years of operation. Managers from Pinot’s Palette have not responded to a request for comment on the closing, but Quillec said the business owners plan to continue to run their Leawood studio and start offering mobile events. Quillec said that the opportunity to take over a space with enough room for a kitchen was enticing. Quillec said he’s also been in talks with the Lenexa Public Market about opening a French Market space there. “Prairie Village would be our main space, but we’d have a presence there in Lenexa where people could grab something from our counter,” he said. French Market also just received its liquor license, and will be offering beer and wine in the coming months. Quillec noted that there should be no down time between the moves. As for the current French Market space, it looks as if it may be the site of a donut and biscuit concept. The Kansas City Star’s Joyce Smith reported this morning that Durham, N.C.-based chain Rise Biscuit Donuts plans to open at the shops. Previous articleYour Home: How did the 2018 real estate year end up?